There are so many places to visit in Israel that is can be hard to decide what to see in Israel. As someone who travels to Israel regularly on business, I can honestly say that there are so many things to do and see in Israel it can be difficult to narrow down which Israel tourist attractions are a must see. Frankly, all the Israel points of interest are a MUST DO in Israel. There are some fun things to do in Israel that you are likely not even aware of because they are not part of the advertised famous places in Israel to visit. This article is going to give you the insider’s information on where to go in Israel so that you can have a full experience. Each travel experience is a personal one that should be built around your personal likes and dislikes, but you also want to step outside your comfort zone and do things that normally you would not while on holiday. Afterall, travel is all about new experiences. You want to include in your itinerary all the must see in Israel sites and of course the top things to see in Israel but take some time to travel off the beaten path to really get to enjoy the culture. The best way to see Israel is to keep an open mind and fully immerse in the adventure! Israel literally has something for everyone. There are beautiful beaches to visit, wonderful ancient ruins to explore, art museums, wonderful examples of architecture everywhere, markets and so much more. Deciding which places to see in Israel should be based on your interest. This list of the top 10 attractions in Israel is a great planning tool to use! Some of the places to go in Israel on this list are not exactly in Israel but are located right over the border in Jordan. Each of the cities in Israel to visit has a slightly different vibe and offers something special for each traveler to experience. 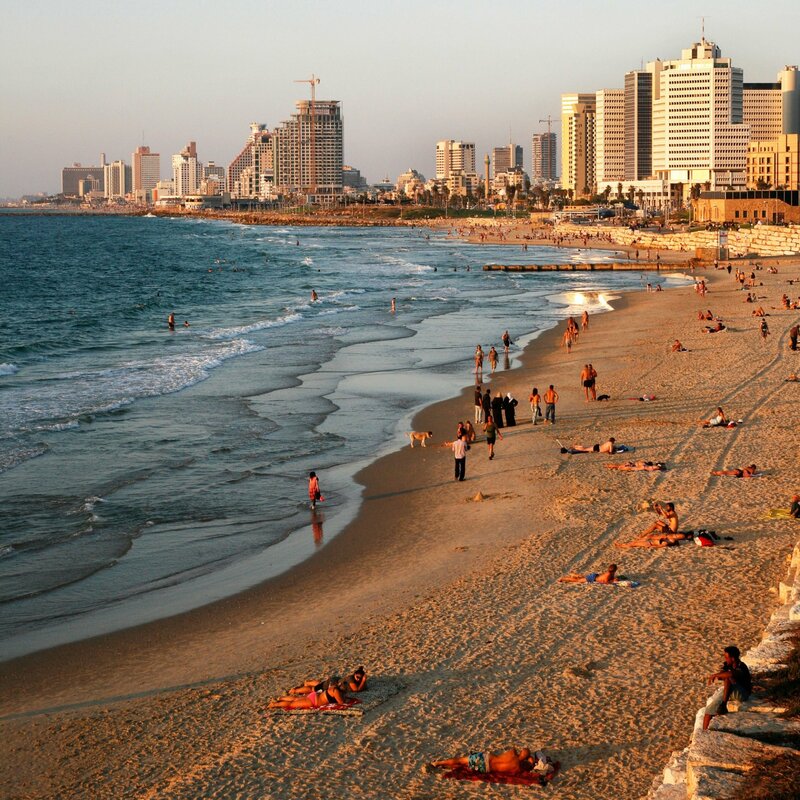 Most flights arrive in Tel Aviv which is a vibrant lively city that has quite a few sights that you will want to see. Tel Aviv is much like any other major metropolis in that there are plenty of great restaurants, museums and an interesting night life. Jaffa is the older part of Tel Aviv and is chockful of culture and interest. The Cultural Palace – the largest concert hall in Tel Aviv, there are always great shows and event being held and well worth the time spent. Habimah Theater– is the national theater of Israel. This simply stunning theater was renovated in 2009 and is a modern theater space that is stunning. Helena Rubinstein Pavilion for Contemporary Art– is a great museum that is dedicated to contemporary art. They offer world class shows that will feed the art lovers soul. Rabin Memorial Monument – while in Habimah Square visit the Rabin Memorial Monument located near city hall. Bauhaus Architecture– a stroll around the White City gives you thousands of buildings to look at that are styled in Bauhaus Architecture. As a matter of fact, for followers of the Bauhaus school, Tel Aviv is the holy grail of Bauhaus Architecture. Jaffa– Jaffa is the older part of Tel Aviv that is rife with markets, parks and narrow streets and historical sites. It is a great way to spend part of the day. One of the best ways to spend the day in this area is to head to the beach! Metzitzim Beach– this is a great place to spend the day. There are plenty of lifeguards and the water is shallow and calm. For the family this is a great beach. Hilton Dog Beach – pups are more than welcome on this beach! Gay Beach – look for the beach with all the rainbow umbrellas and you have found Gay Beach in Tel Aviv! While in Tel Aviv be sure to stop at the Carmel Market and get some shopping done! It is a bustling market that encourages haggling to get the best prices. Tel Aviv is a very liberal city that focuses on fun! Western Wall – the “Wailing Wall” is the most important Jewish religious site in the world. It is the ancient ruins of the Temple Mount, the actual western wall of the structure. People make pilgrimages to the wall from around the globe to pray and tuck little pieces of paper into the wall with notes for God. Whether from an archeological stand point or from a religious stand point this is an absolute must see. 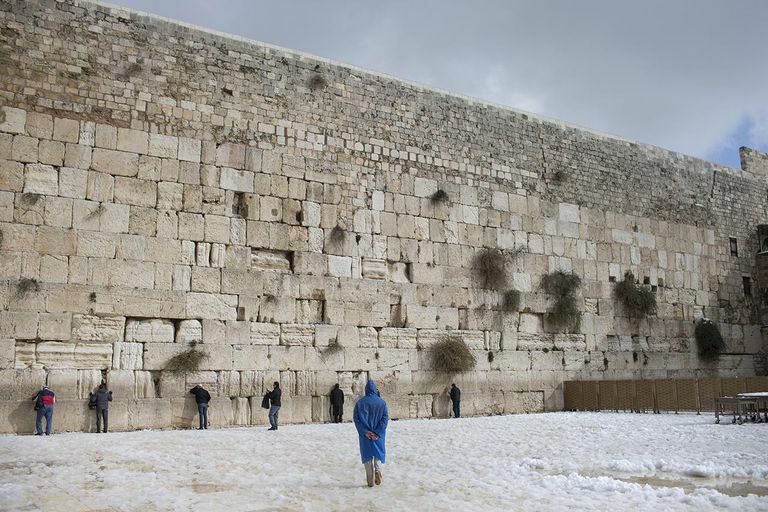 Jews lament the loss of the temple at the wall and pray for the restoration of the temple, hence the term “wailing wall”. It is a very profound moving sight. Church of the Holy Sepulchre – this is considered one of the holiest sites for Christians. It is purported to be the sight of the crucifixion of Christ and the burial sight of Christ. It is a space that is both religiously important and historically significant. It is a stunning, solemn place to visit. Dome of the Rock – this is a significantly important religious site for Muslims. It is believed that the prophet Mohammad ascended into heaven from this site which also happens to be the site of the Temple on the Mount and near the Holy Sepulchre. It is one of the mot photographed buildings in the world! Tower of David – This is the Citadel of Jerusalem that has great historic importance. Located in the Old City of Jerusalem near the gate of Jaffa. Save your visit for when it gets dark. The walls of the Tower of David are used as a backdrop for an amazing light show that is set to music. It is a memorable sight that mixes the ancient with new technology. The Tunnels in the City of David – Hezekiah’s tunnels in the City of David run from Gihon Spring to the Pool of Siloam and will have you trekking through knee high water experiencing this ancient city from a completely different perspective. Yad Veshem Museum– This holocaust museum helps visitors to understand fully the plight that was inflicted on the Jews during the holocaust. Mount of Olives – This is where you go to get an amazing view of Jerusalem. It is a mountain ridge on the edge of Old Jerusalem that helps you to connect with nature, hike and spend a day of relaxing while taking in the beautiful views of this ancient city. Ein Kerem – This village on the outskirts of town has beautiful ancient cedar trees, stone buildings and is home to the church of St. John the Baptist. This quaint village is the perfect retreat after a few days of the hustle and bustle of tourist attractions. The Markets – there are plenty of markets to visit while in Jerusalem. You will find a lot of the touristy markets where you can buy souvenirs and then there are the local markets where locals shop. Mahane Yehuda Market is the local market in Jerusalem. Find beautiful local produce, freshly baked breads and cakes and so much more. Off the Beaten Path – see Jerusalem by Segway, participate in a treasure hunt or take a food tour! Step outside the box and see Jerusalem in a whole new way! Hebron– Hebron (the West Bank) is a totally different experience from the hustle and bustle of Tel Aviv and from Jerusalem, but equally an experience that you should consider. This is the one region of Israel that is largely inhabited by Palestinians and has a strong Muslim flair. You can visit Abraham Avinu Synagogue and the Sanctuary of Abraham on a day tour of the city. The Masada is an archaeological site that overlooks both the Judean Desert and Dead Sea. 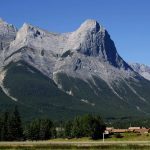 The views are just amazing and are well worth the visit however this is a hiking trip so comfortable shoes and good health is a must to fully enjoy the experience. Leaving in the early morning hours before sun rise will give you the opportunity to watch the sunrise which is something you will never forget. The Ein Gedi Reserve is home to several species of native animals and is also home to some amazing waterfalls. The Ein Gedi Reserve has nine different hiking trails that you can use. The Dead Sea people flock from around the globe to float in the Dead Sea. It is reputed to have healing powers. The mud on the edge of the sea is used to slather all over the skin. The Dead Sea is the lowest point on earth and the salt content is the highest in any body of water. 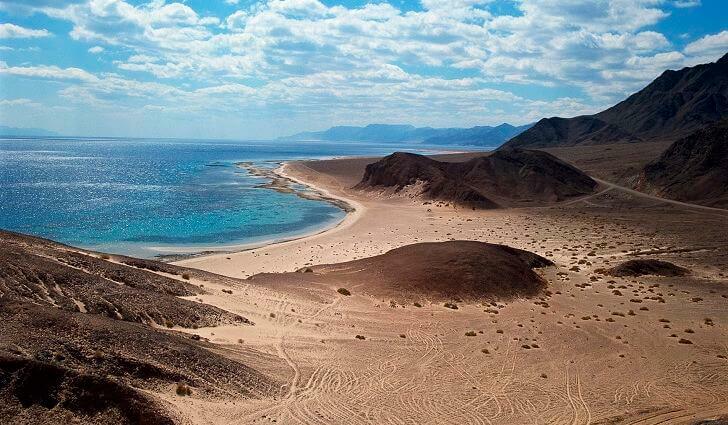 Eliat The Red Sea – if beaches, diving or snorkeling is something you like to do, than a day trip to the Red Sea should be on the agenda. They have some great snorkeling opportunities with beautiful corals and aqua life. Eliat is the place for the best snorkeling. Eilat’s Underwater Observatory– is the perfect way to experience the aqua life without having to venture into the water! Ramon Crater –The Ramon Crater is quite the sight to see! Located in the southern region. It is the largest crater in the world and oddly heart shaped. It is 500m at its deepest point and 40 km long and 2-10 km. It is one of those “off the beaten path” type “must see” in Israel. Viewing the crater at sunrise or sunset is the best time to see the real beauty of it. Baha’i Gardens – The Baha’i Gardens are simply stunning. While not a typical touristy thing to do in Israel, certainly a memorable one. The Petra – technically not in Israel but right over the border in Jordan. This is an ancient city that is rich in history. Hop over the border into Jordan! While this is technically not an Israel must see attraction. The Petra is literally right over the border in Jordan and Petra is well worth a mention and should be on your list of things to do while you are in the region. This ancient city is simply stunning and so rich in history. Take a day trip and go visit, you won’t regret it. Visiting Israel is an unforgettable journey. With a little pre-trip planning you will be able to see all the famous sites, a few not so famous sites and really have a great time!